Western Union – fast money transfer service – a system that allows to send and receive money worldwide fast and simple. Emerging growth of global economy requires fast money transfer without current restrictions. The recipient does not pay any commissions for the money received. A valid identification document – ID card or passport is required to send or receive money. Transactions are only made in two currencies – euro and American dollar. The fee for sending the funds is paid in denars. 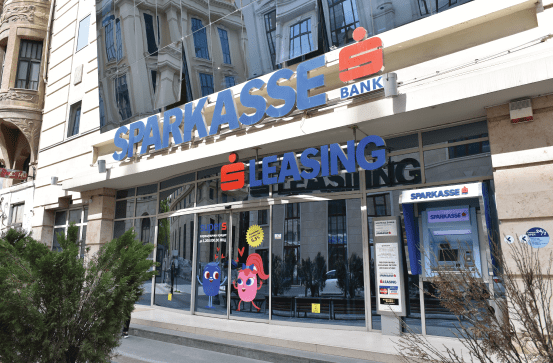 If the money is withdrawn from any other point that is not one of those stated by the Bank, Sparkasse Bank Makedonija AD Skopje does not bear any responsibility nor accepts any complaints related to that transfer. Any transfer can be followed by using the Money Transfer Control Number thus guaranteeing that your money is paid fast and to the recipient only. Money can be withdrawn in a few minutes * as soon as it is sent. Western Union makes use of modern technology and unique computer network worldwide, which makes possible immediate payment. More than 300,000 ** locations all over the world where senders and recipients can send and withdraw money. You do not need to have a bank account. Most of the agents are available to serve you during the whole day, through entire week and year. *depending on the working hours and different time zones. **the service is only unavailable in several countries where the client can just receive money. For more information please contact us on the following phone numbers 3200-645, 3200-643, 3200-612, or visit us in our branches. Find your nearest branch or ATM!